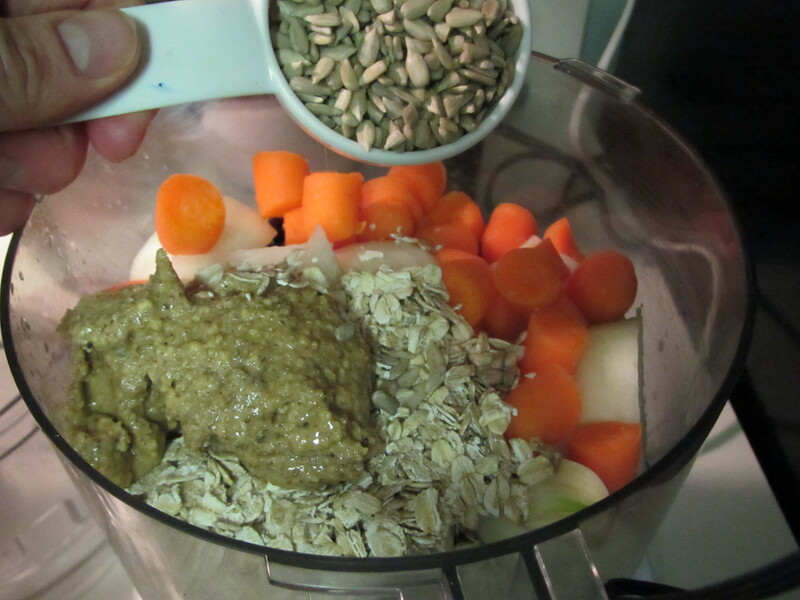 With the week’s dinner in the crock pot, it was time to get started on tonight’s dinner. 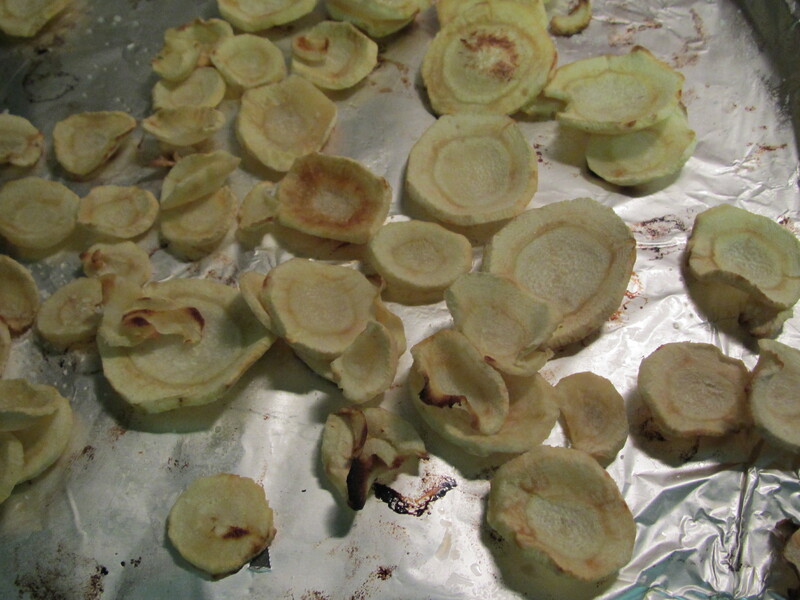 I was inspired by a friend to use my leftover parsnips for Parsnip Chips. I don’t think the BOY was as excited as I was to try them, but he’s a trooper. 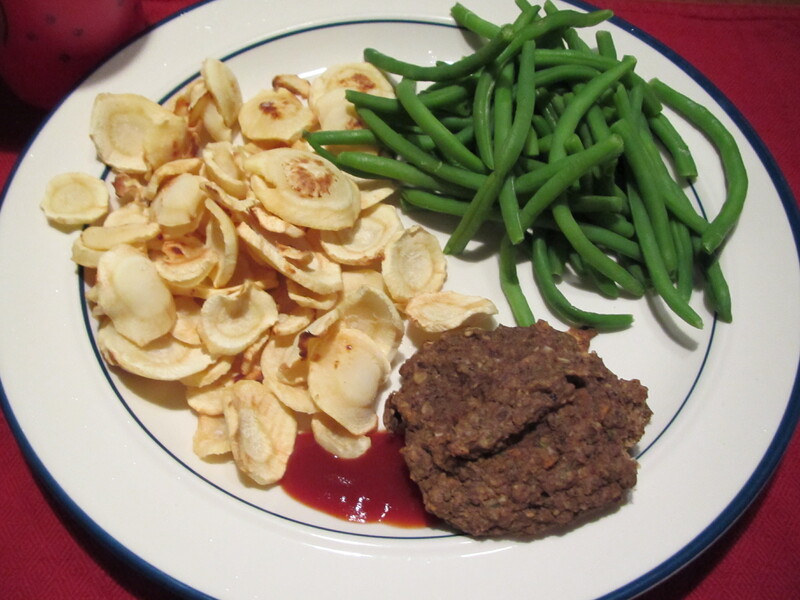 To go with our chips, I wanted to make Black Bean Patties from my favorite clean author Tosca Reno. 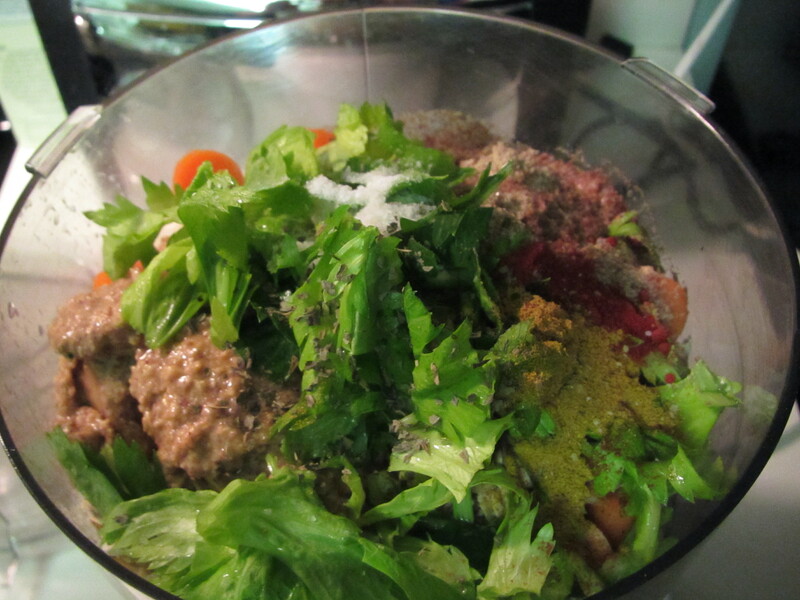 I started by collecting all the random ingredients that go into these burgers. 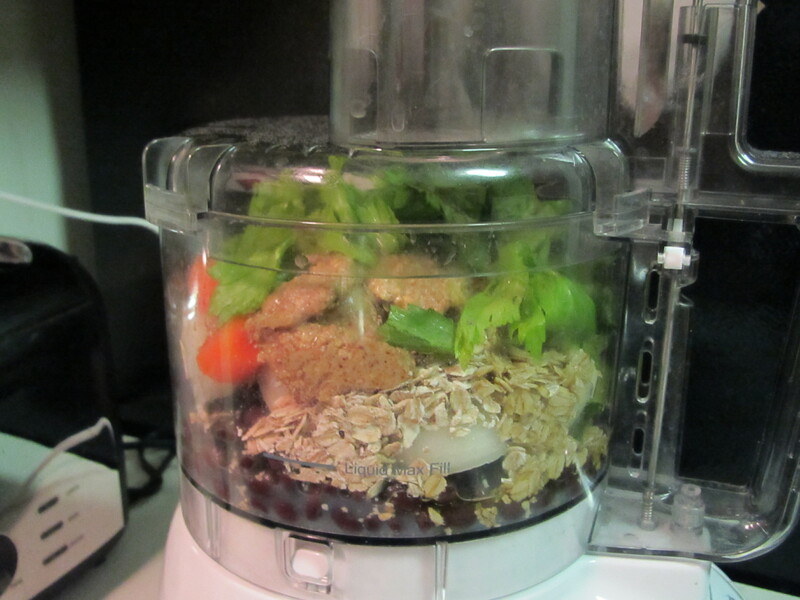 This is a simple recipe that involves piling everything into the food processor. 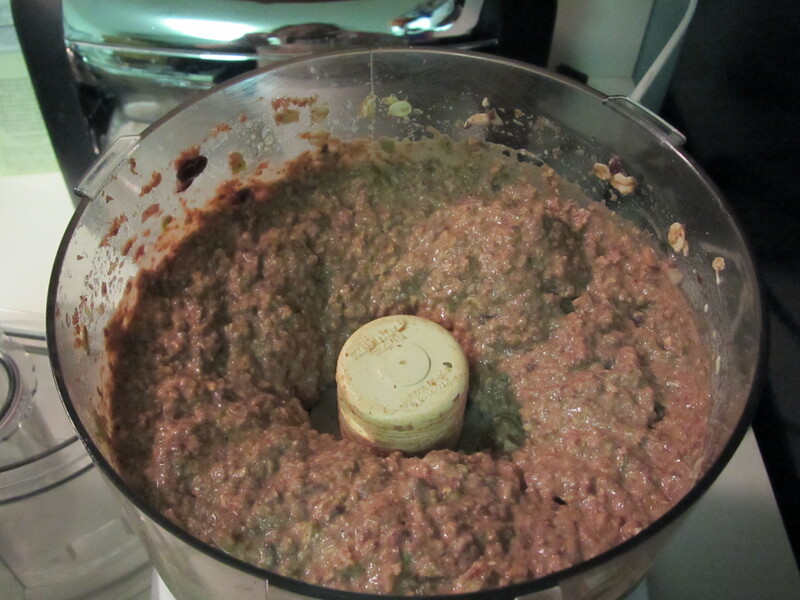 I had this awful looking mess. 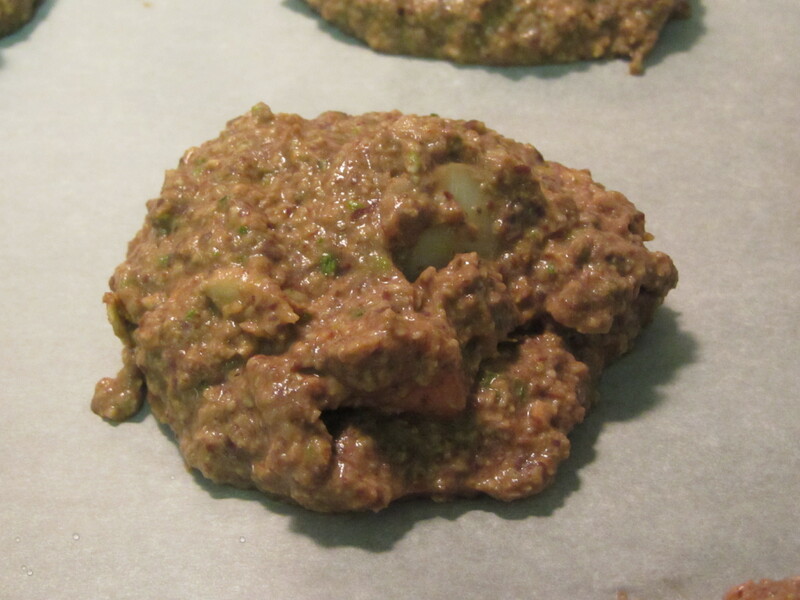 Luckily, I’d made the burgers before, so I knew they would taste good even though they looked pretty gross. 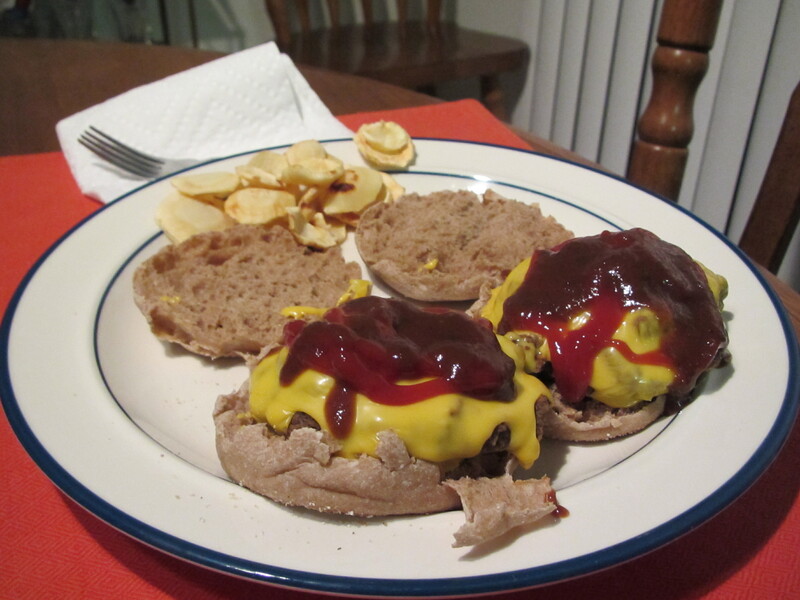 The BOY added some cheese to his burgers. 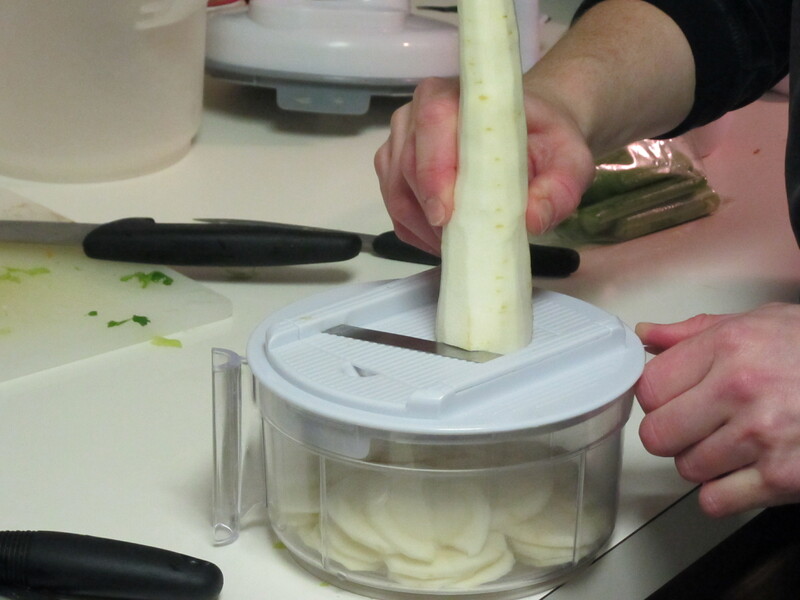 After some thought and debate, I used my slicer to cut the parsnips. This is part of my salsa maker (that also does like 5 other things) and works real well when making sweet potato fries. 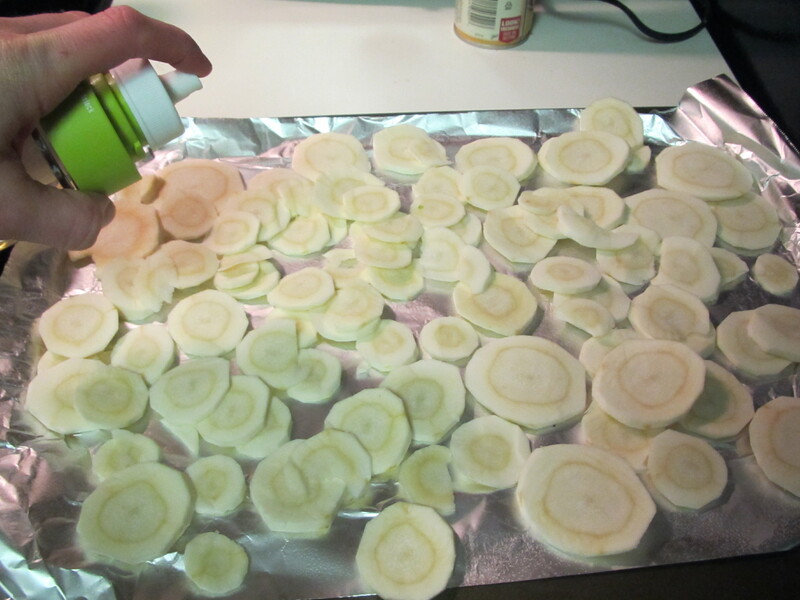 I cut two parsnips and covered them with olive oil and kosher salt. 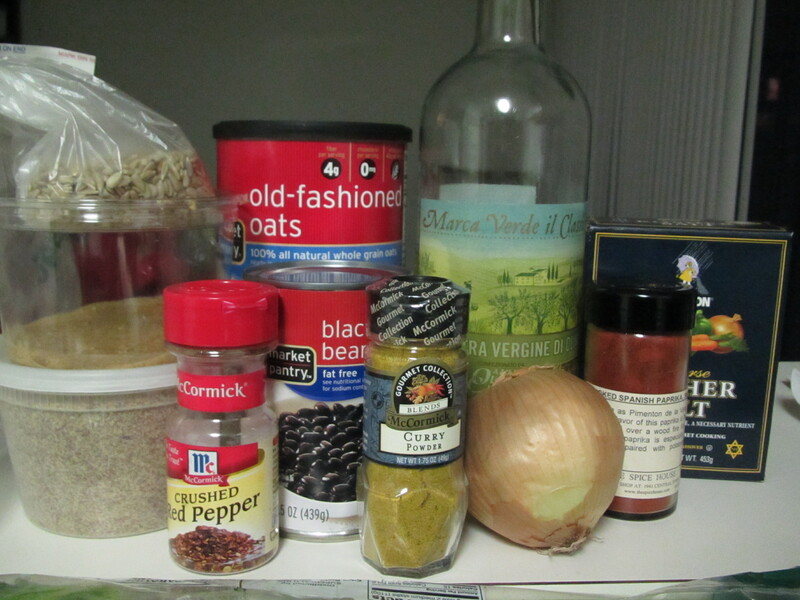 I think next time I may add some other spices as well. I baked them for around 25 minutes. 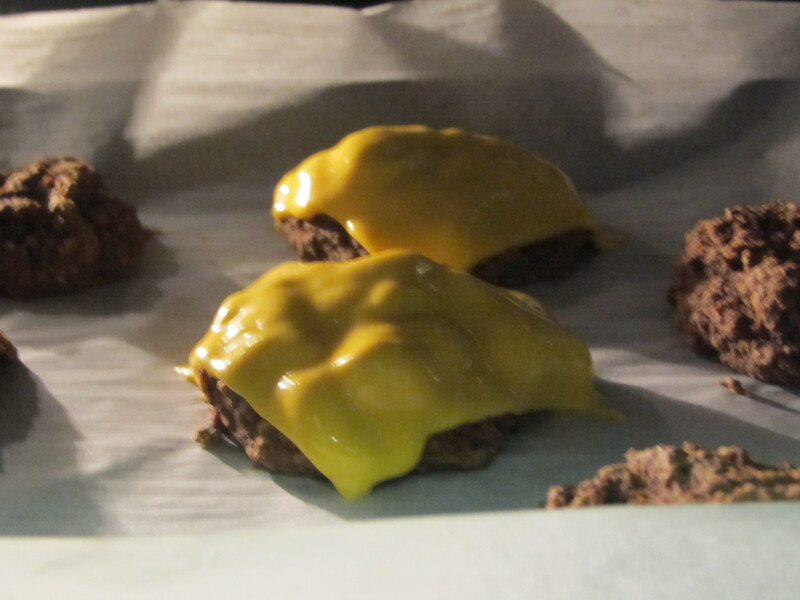 I started at 375 degrees because they went in with the burgers and then increased to 425 degrees. Although they smelled different, I thought they tasted pretty good. Steamed green beans rounded out the meal. The BOY said his burgers were ‘ok’ and moved his ‘chips’ onto my plate. He was happy to have leftover cheesecake for dessert!! !